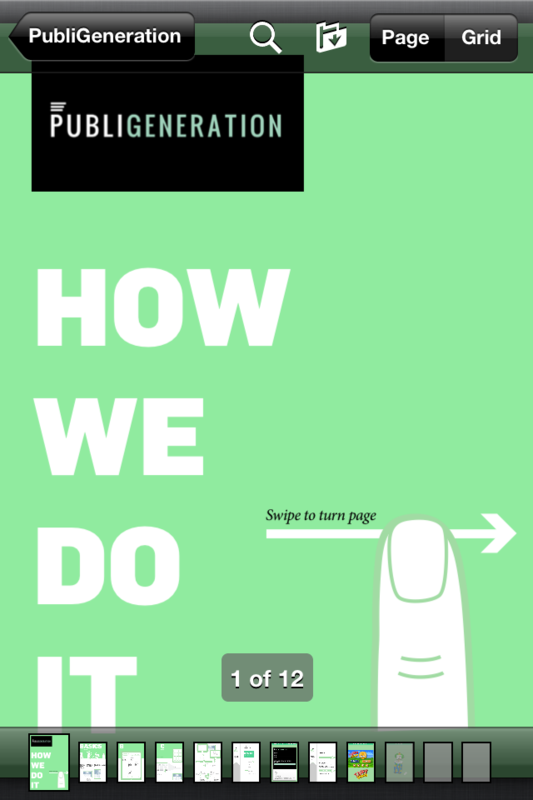 PubliGeneration understands your needs and is keen on providing you with the right solutions for the different stages of your involvement with smart devices. In order to enter the world of smart devices as smoothly as possible, you need more than a simple ‘app’. 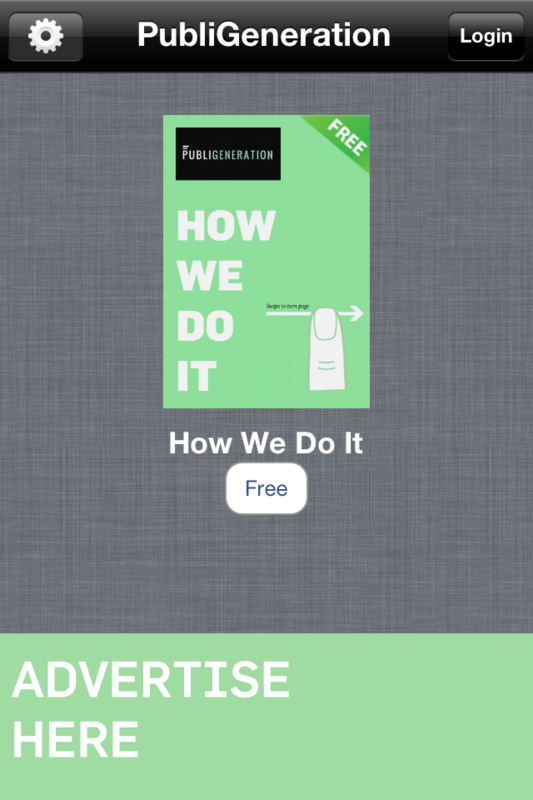 Read PubliGeneration "How we do it" in order to understand what our app can provide as a newsstand app. 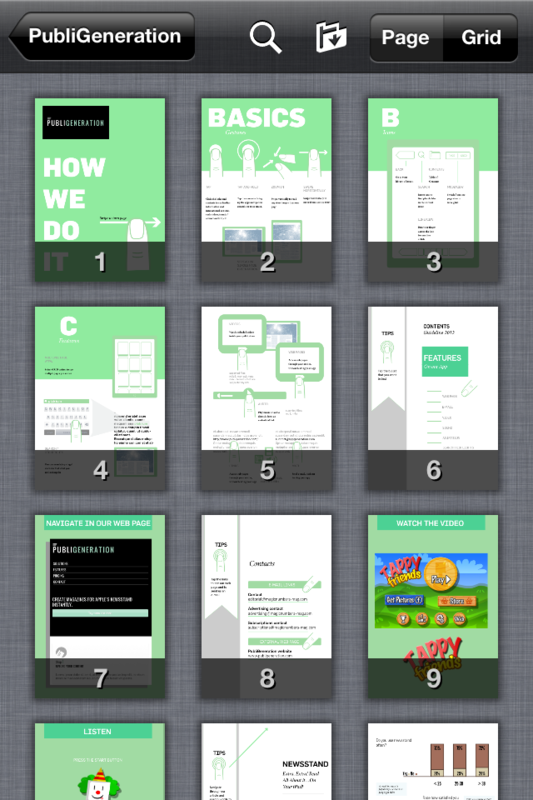 If it interest you, login with your PubliGeneration account so you can test how your PDF files will look in Newsstand. 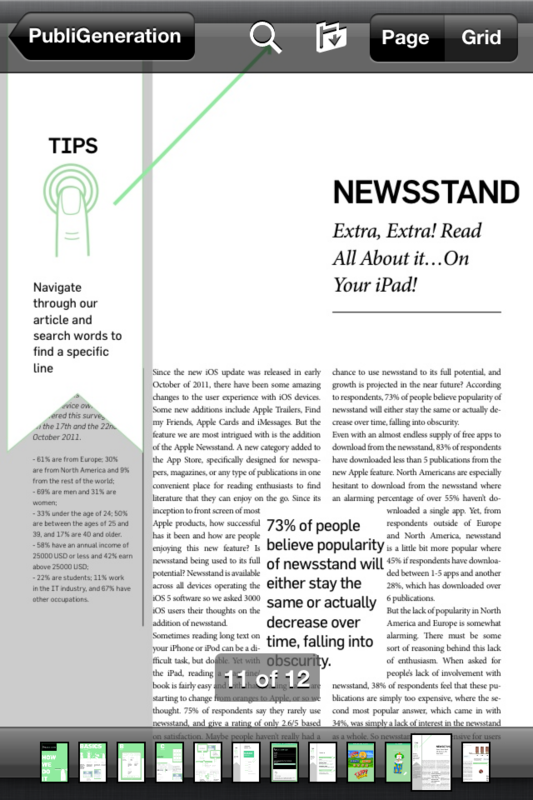 An easy and simple solution to know what can your publication can be when available in Newsstand.